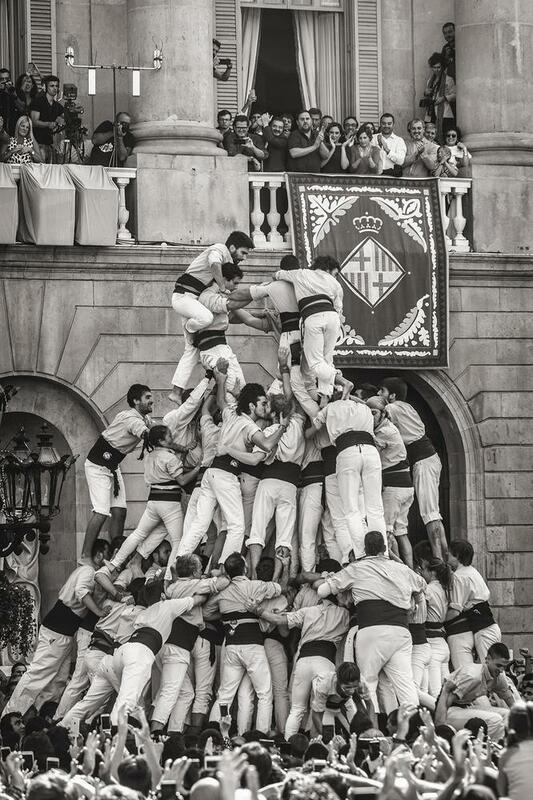 Catalan people, in Spain, have an awesome tradition, to make human towers called castells (castles in English). 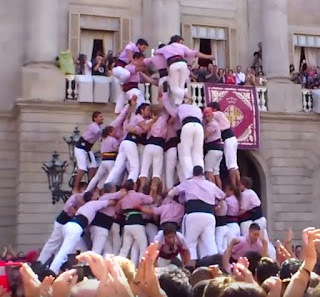 Several Catalan cities have teams which make the human towers and they wear different color t-shirts to be identified. 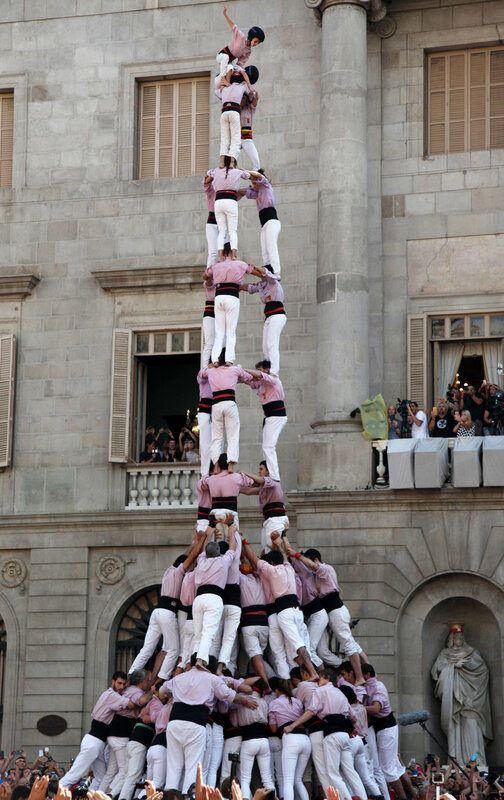 The past September 25th was the day of La Mercè, Barcelona's patron, and they celebrated the event making towers at Town Hall square. 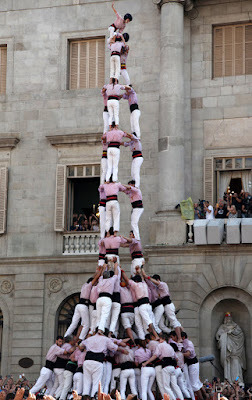 That day the team from Terrassa got first in Barcelona to make a tower of ten stories high, ie, ten people one above the other. 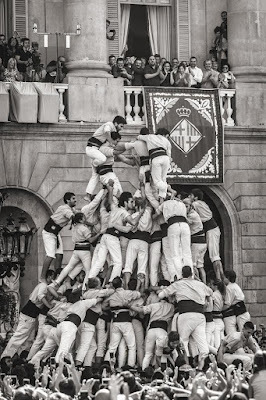 But the most relevant was when they were unmaking the tower, two guys in the tower kissed on the lips. 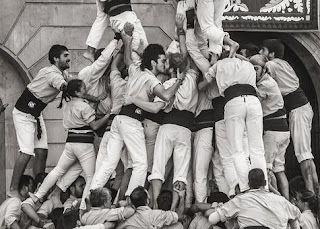 Mireia Comas, a photographer from Terrassa, took a black and white photo of that moment, and the snapshot went viral on Spanish social networks quickly. The couple of guys who kissed declared they are very proud of their act, just as are their teammates. Thank you, i'm very Glad no fag bashing. than America will ever BE. Mireia Comas (@mireiacomas), the author of this photo, has liked and retweeted this post, I really appreciate it, thanks!